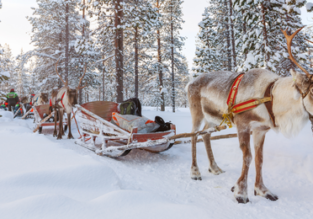 Visit Santa this Christmas with cheap flights from the UK to Lapland from only £119! Norwegian to start direct flights from London to Rovaniemi and Reykjavik! Caribbean escape! 7-night stay in well-rated hotel in exotic Curacao + flights from Amsterdam for only €493!